A leading property expert is urging investors to consider negative gearing as a long-term strategy and to buy new and make the most of the Queensland Building Boost before time runs out. When you purchase a quality property (highly desirable location, good rental returns and strong capital growth), negative gearing is an investment strategy you can use to reduce your taxable income, making your property portfolio more manageable. “Ultimately, when negative gearing is used effectively on a well-chosen property, it will deliver excellent dividends,” says Mr Borrill. Investors can maximise their tax offsets by buying new properties and claiming depreciation costs on the building, plus its fixtures and fittings. For an in-depth explanation of negative gearing, including a case study, see the latest Property Insight newsletter from Which Property. There is no better time to buy in Queensland with the Building Boost extended to the end of April. Investors may receive a $10,000 grant for every new apartment, house or townhouse bought for under $600,000 before 30 April 2012. Properties can be rented out and the grant applies to one or more purchases. When looking for a quality investment property to recommend to clients, Mark Borrill uses the Which Property rating system encompassing location, design and build quality, tenant appeal and potential for growth. Which Property has been connecting smart buyers with quality property for more than two decades, and has attracted more than 25,000 clients. Which Property offers investors opportunities in high-growth regions such as Sydney, Melbourne, Brisbane, the Gold and Sunshine Coasts, Cairns and Gladstone. 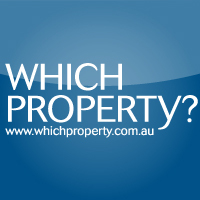 Visit www.whichproperty.com.au for more information.